The Muscle Atrophy Research and Exercise System, or Mares for short, is a muscle-measurement machine on the International Space Station that monitors astronauts’ muscles as they work out. 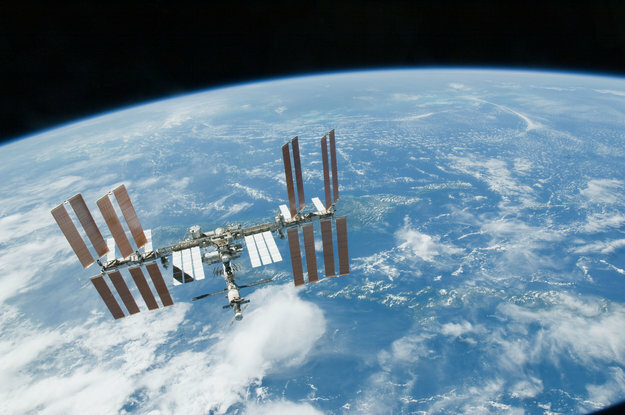 Colleague ESA astronaut Samantha did an initial test-run during her Futura mission on the International Space Station earlier this year. She set up the machine and checked that the motors move as planned but did not take a place in the chair as an experiment subject. 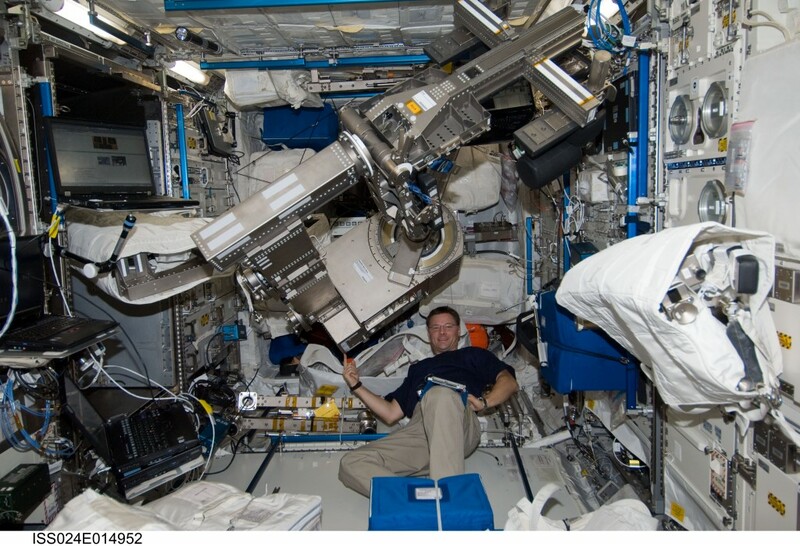 Andreas will perform the second part of the Mares commissioning by deploying the machine in its Ankle Configuration to get data on his ankle movements. This run will validate the machine for more use for scientific experiments in the future. Andreas will be the first astronaut to use the machine to take measurements in space on himself. Part of the experiment program includes giving small electrical shocks to Andreas’s muscles to better chart their strength. All in the name of science. Andreas and Sergei will read an overview of the tasks planned to remind him of the training he received on Mares months ago, in Space Station lingo this is called Big Picture Reading. Once this is done he will start basic deployment with Sergei and connect Mares to the Power Interface Unit. 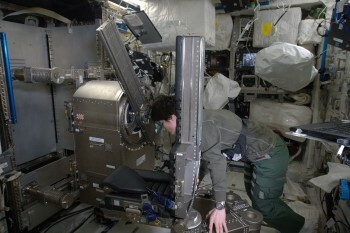 While the machine’s battery charges Andreas will install Mares and set the machine up to collect data on his ankle. Andreas will sit in the chair and Sergei will collect ultrasound scans of Andreas’s calf muscles and test his ankle’s Passive Range of Motion which is the largest possible movement of the foot in extension and flexion. Andreas and Sergei will put electrodes on his calf muscles to record and stimulate them, a standard diagnostic tool for doctors to measure muscle activity called an ElectroMyoGraphy or EMG. When this is done they will verify the ElectroMyoGraphy signals are getting through correctly. Once confirmed, Andreas will perform some ankle exercises session to confirm the suitability of Mares hardware and software for future utilisation in scientific purposes.They will start the battery discharge process and clean up by disassembling the ankle configuration. They will copy the log files and data files and set them to be transmitted to ground control. 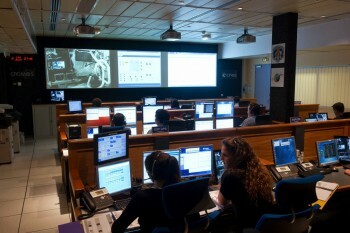 The so-called downlink will be done by ground control. The next step is to store the Percutaneous Electrical Muscle Stimulator and ElectroMyoGraphy. Once this is done they will disconnect Mares and store it in Columbus. Lastly they will store Mares’s hard disk once ground control has downlinked all the data. Summarising the operations like above make it sounds easy, but Mares is a complex machine and has no equal that offers this type of fine control and measure the user’s reaction. Flight planners have penned almost seven hours of Andreas’s time to do the full session of measurements and return Mares to storage with Sergei helping for two hours. During the two days of work the CADMOS User Support and Operations Centre in Toulouse, France will support the operations. Helene Ruget, Lourdes Oro Marot and Stephanie Herr will be on hand to answer any questions the astronauts have and suggest solutions to any problems encountered. For them the experiment will be a success when they have received the data and log files from the Commissioning and Mares is safely stored in the Columbus space laboratory again.